This coin was passed onto a lady that I work with. She lives in Moores Creek area and is in high demand as a caregiver. She does not have a computer herself so I will fill out her story for her. She was in Walmart in London, Ky., the other day, with the coin in her pocket, waiting in line to cash out. The cashiers in Walmart are so overworked lately since they have the self check out and cut back on the regular cashiers. Anyway, she said that the cashier was working as fast as possible, but had a difficult customer who was extremely rude to the cashier all during the process. It upset my friend who is never rude always smiling. She said that the young cashier needed something to perk up her day, so my friend spoke some very kind words to her, gave her a wonderful smile, and passed the coin onto the cashier, praying that it would brighten her day. Now she is very excited to see if the cashier posts her story. 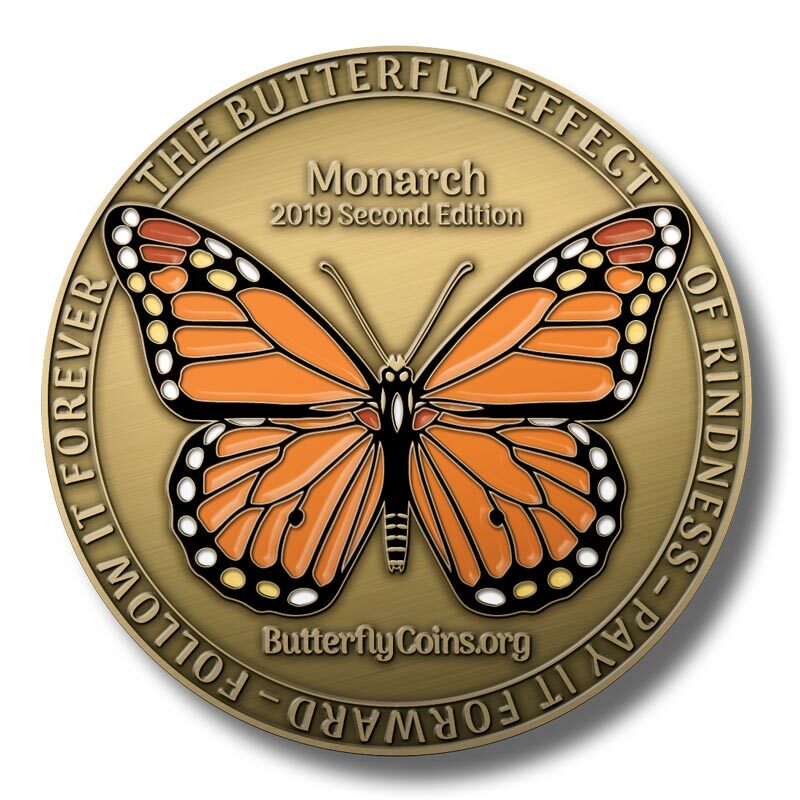 First heard of Butterfly Coins in Dec, 2018 , think it was on FB. I ordered and now am so very excited to have received them. The first coin I looked at had my initials on it ( KC) so this is the one I will follow myself. I am in a small town called Annville, Ky, which is in sparsely populated county that has only one stop light in the whole county. We are a poor rural area with wonderful people who love to do random acts of kindness, no matter how small. Haven't decided who will get this coin or what kindness will go along with it, but will trust that the Lord will let me know when to pass it on. I will be sure to let you know as soon as it is passed on.